Around this time last year I devoted a posting to favorite desserts of mine that, sadly, are no longer available. I’ll be more optimistic this year, and instead, will focus on desserts which I hope will start receiving the attention they deserve. 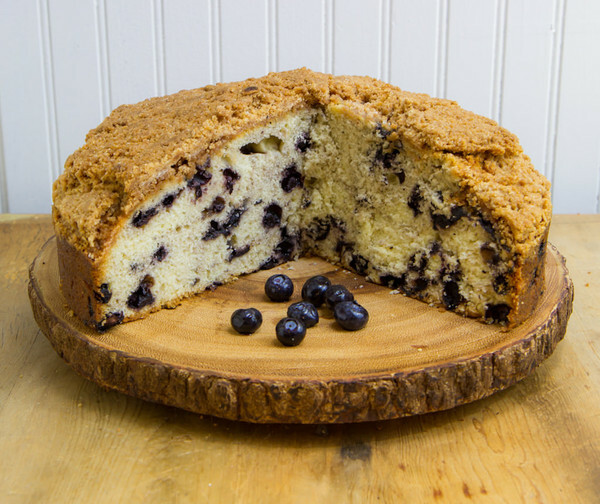 Coffee-Based Desserts: Granted, this is a very broad category, encompassing Coffee Ice Cream, Mocha Cake, Espresso Cookies and Biscotti, Chocolate Bars with Coffee, and much more. In addition to relishing the jolt from the java, I adore the taste of Coffee, and think it enhances most desserts. One of my favorite Coffee Desserts is Graeter’s Mocha Chocolate Chip Ice Cream. Since Coffee pairs so beautifully with so many dessert ingredients, my wish is for the rich tang of Coffee to be found in all manner of desserts—from fancy pastries to homey Chocolate Chip Cookies and Brownies to luxurious cream-based Desserts. 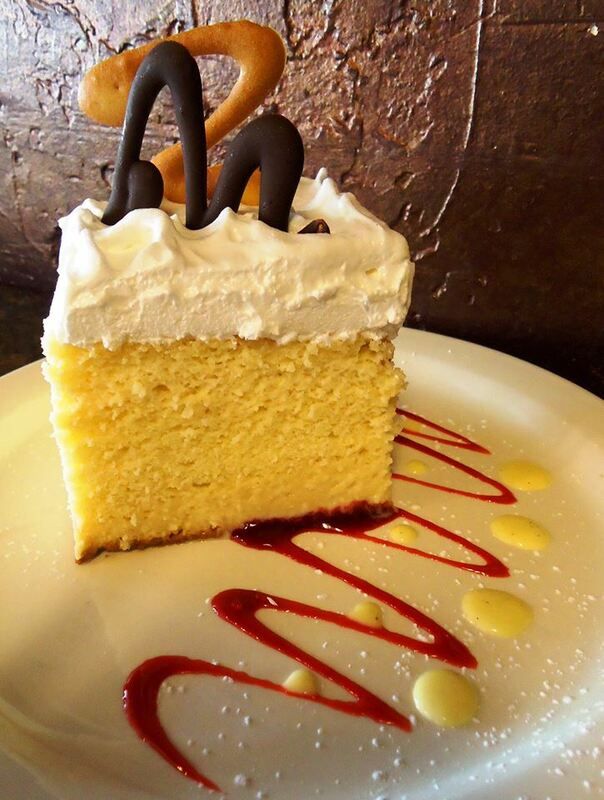 Tres Leches Cake: I can’t overlook one of my favorite Milk/Cream-based Desserts—Tres Leches Cake, a Cake made with three different types of Milk/Cream. 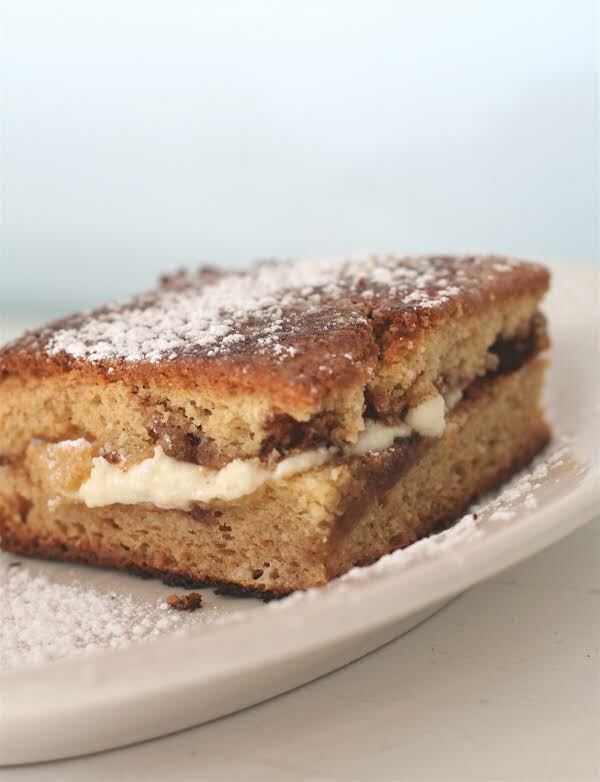 It’s one of these simple Desserts that’s just amazing. Of course it can be spruced up so it’s no longer simple. My all-time favorite Tres Leches Cake sported a Cheesecake layer, in addition to a Raspberry filling. And, unfortunately, it’s no longer available at my local Mexican restaurant although a Salted Caramel Tres Leches Cake is on the menu. My wish is for Tres Leches Cakes to be available at most bakeries and restaurants. 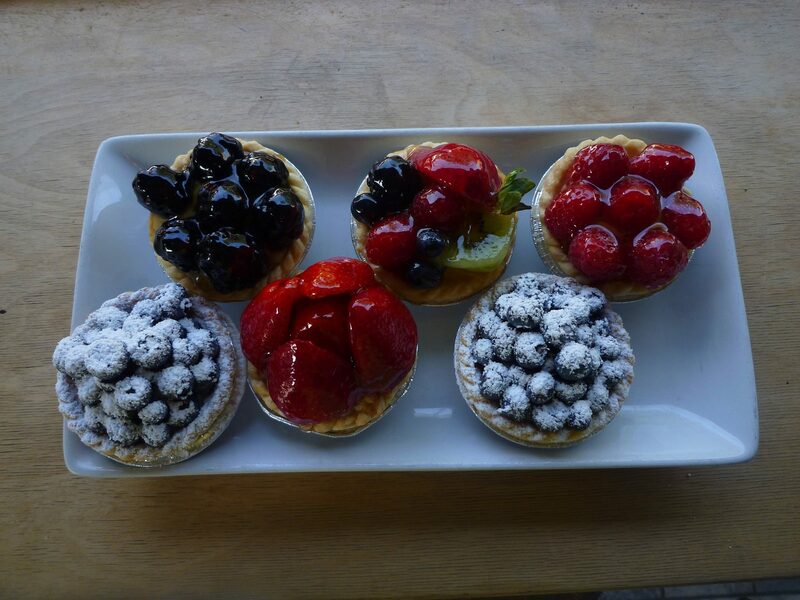 Smaller-Size Portions of Desserts: Anyone who reads the Dessert Surveillance blog knows that I’m a Dessert Glutton—I just love Desserts and can’t get enough of them. To prevent my cholesterol level and weight from skyrocketing, I try to ration my dessert intake. (Of course during the holidays, I’ve been a bit, shall we say, lax, in my rationing, but I digress.) That’s why I welcome the smaller-size dessert trend. It saves me from having to cut a Dessert in half and either enjoying the 2nd half the next day or trashing the 2nd half. To be brutally honest—it’s not so much that the smaller size saves me fat, calories, and sugar. It’s more that I can indulge in two desserts instead of one! 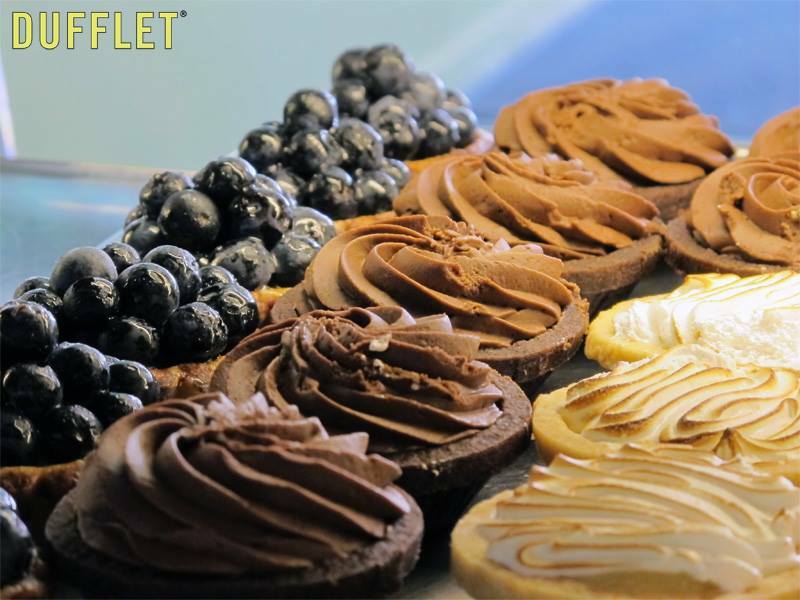 All the best wishes for a wonderful 2015 filled with delicious Desserts! Pecans are native to Texas and Louisiana and also strongly associated with other Southern states, such as Georgia. So, is it safe to assume that Pecan Pie is a lot more popular in the South than in other parts of the country? 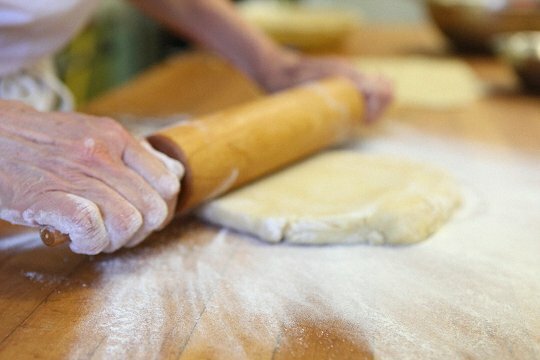 We’ll start with bakeries in the South. 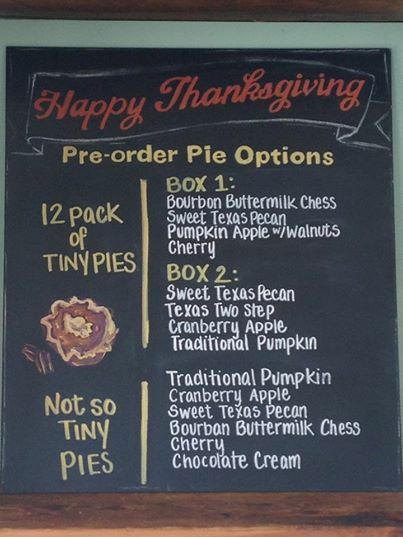 On the menu at Austin, Texas-based Tiny Pies are: Sweet Texas Pecan Pie; Bourbon Pecan Pie; and Texas Two Step Pie (Pecan Pie layered with Chocolate Brownie). Tiny Pies’ Amanda Wadsworth Bates said the Sweet Texas Pecan Pie and the Texas Two Step Pie are equally popular and are the bakery’s best sellers. 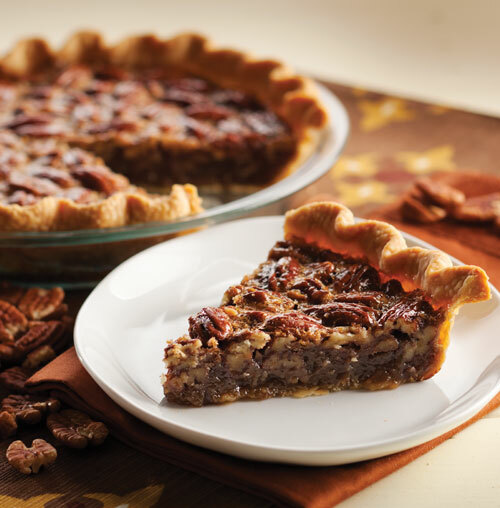 And Pecan Pie is in demand all year long, but especially during the holidays. Amanda noted Pecan Pie seems to be especially popular with men. Also in the city of Austin is Royers Cafe. Bud “Pieman” Royer, founder of Royers Café, summed up the appeal of Pecan Pie to Lone Star State residents “Pecan Pie is Texas! 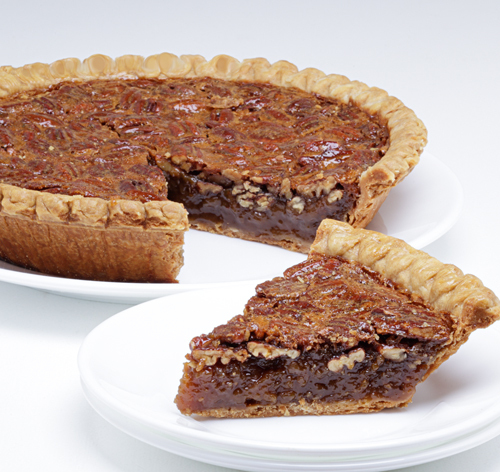 And it is a holiday Pie favorite.” Royers even offers a sugar free Pecan Pie. 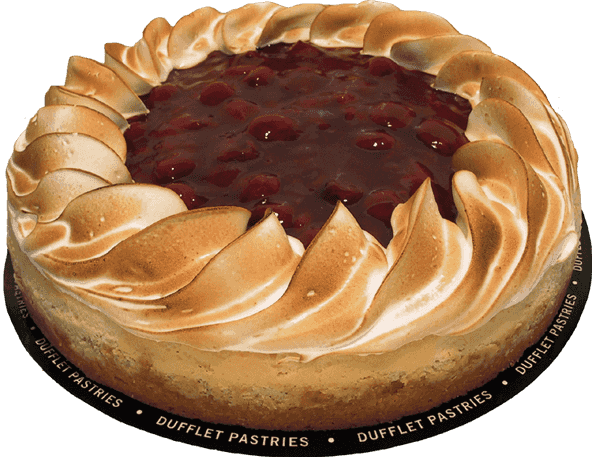 Moving from the South to the Midwest: Sweetie-licious Bakery Cafe has three bakery locations in Michigan and sells its pies online through Williams-Sonoma. 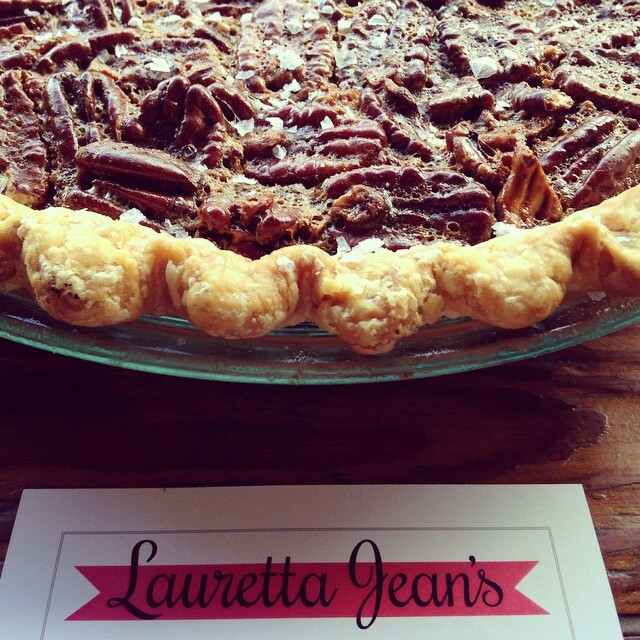 Online offerings include: Pecan Pie; Dark Chocolate Pecan Pie; and Lemon Pecan Chess pie. 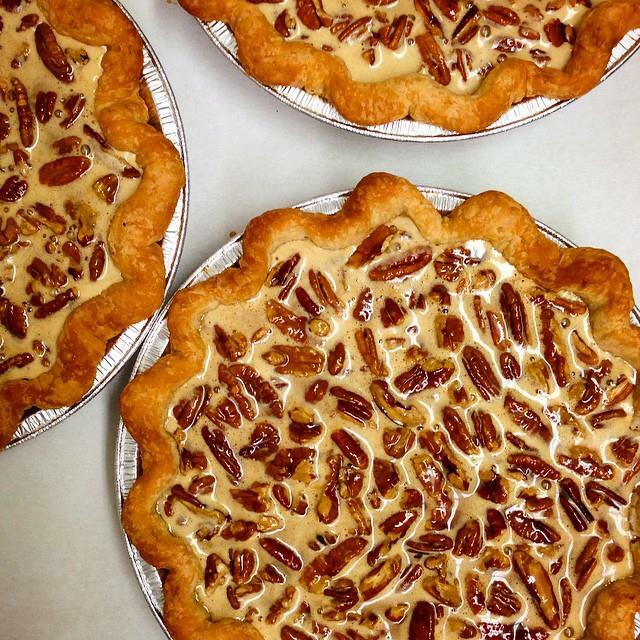 Stephanie Haynie, bakery leader at Sweetie-licious, pointed out that demand for Pecan Pie is very seasonal. Let’s travel to the West Coast. 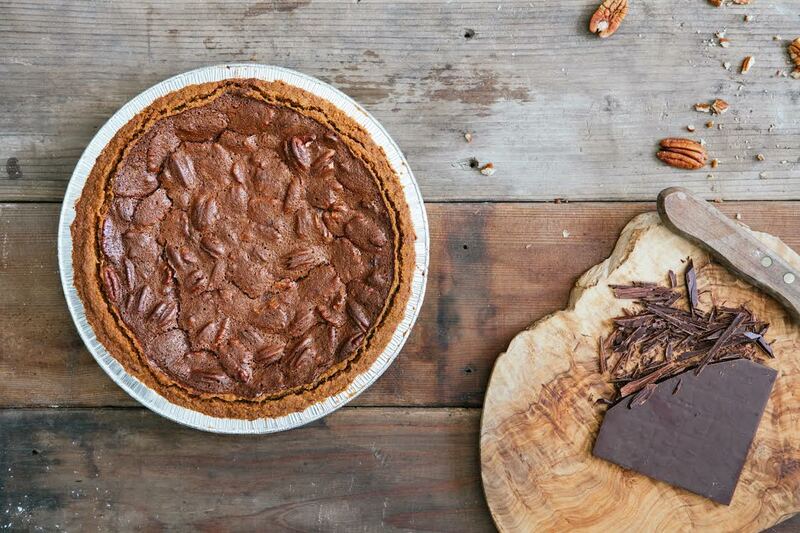 Moving across the country to Philadelphia, you can find Chocolate Coffee Cinnamon Pecan Pie at Magpie. 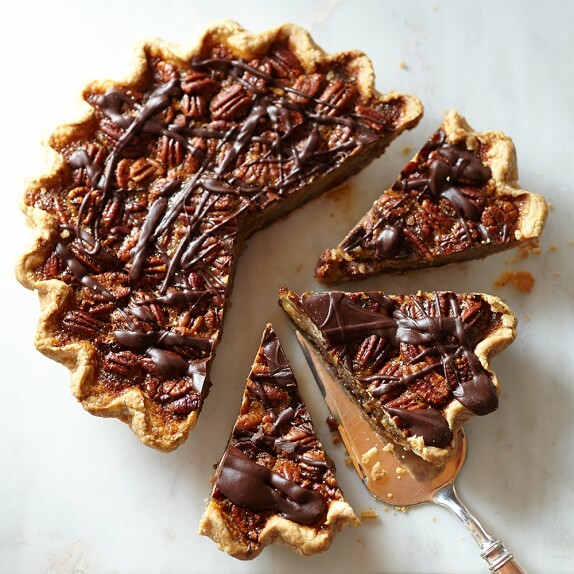 Magpie’s Elizabeth Godown said: “Here in Philadelphia, and in the region, Pecan Pie is certainly a Thanksgiving/fall/winter flavor and not a type of Pie that sustains consistent interest and demand. Personally I am from further south, where Pecan Pie is on the menu year round and riots would break out if you said you didn’t serve it. But around here, our customers seem to be more surprised to see it on the menu…” Magpie’s Chocolate Coffee Cinnamon Pecan Pie is on the menu from late September/early October through December. Elizabeth also said she has no plans to offer other varieties of Pecan Pie since there’s not enough demand. And let’s not forget about Canada. 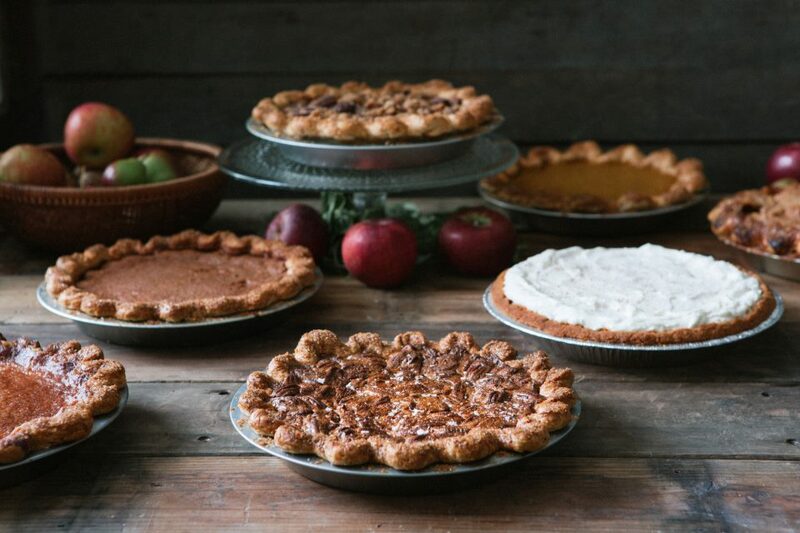 Toronto-based Wanda’s Pie in the Sky offers three types of Pecan Pie: Black-Bottom Chocolate Pecan Pie; Chocolate Pecan Pie; and Classic Pecan Pie. 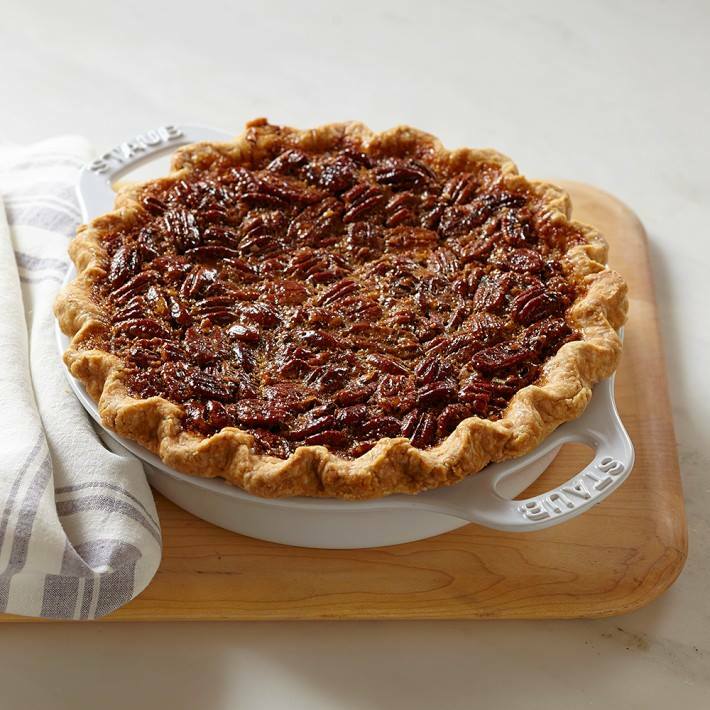 Leora Winkler said that even though Wanda’s sees an increase in the demand for Pecan Pie during the fall and winter, the Classic Pecan Pie is still an overall best seller in spring and summer. I better nab a slice of Pecan Pie while I can! I top Oatmeal with chopped up Cherries. While this breakfast will never be as tasty or decadent as a slice of Cherry Pie, it’s still quite good. 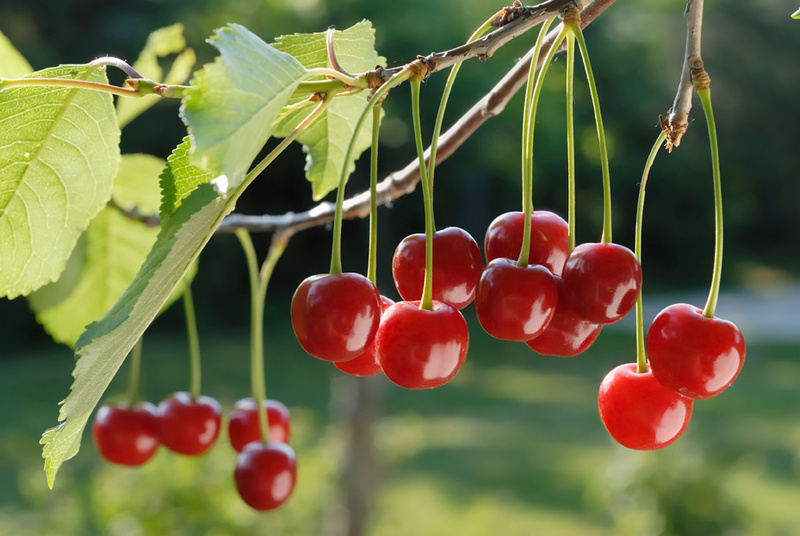 I think what makes Cherry Pie (and even my Oatmeal-Cherry combo) so special is knowing that most Cherry types have a short season. 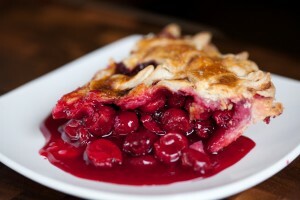 Therefore the Cherry Pie (or other Cherry delicacy) should definitely be savored. And of course Mother Nature can make fruits even scarcer. 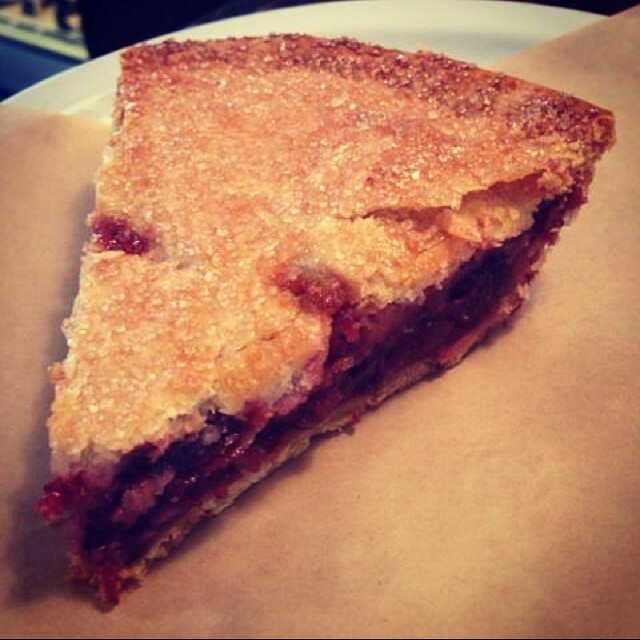 The Pie Hole, based in Los Angeles, offers an extremely popular Cherry Pie. But it’s only available in the summer. 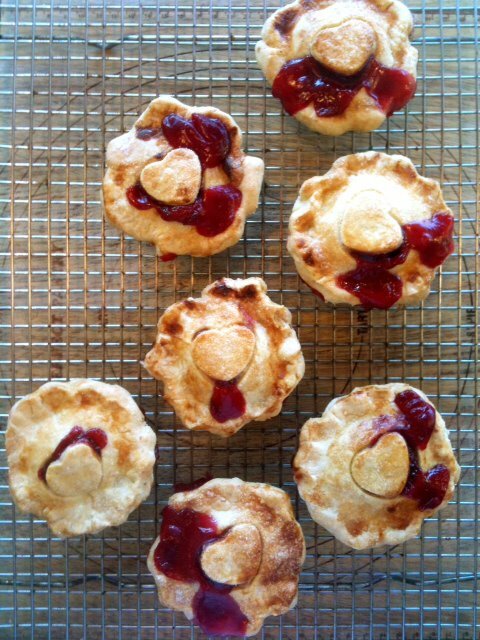 Of course, canned Cherries can be used for Cherry Pie. 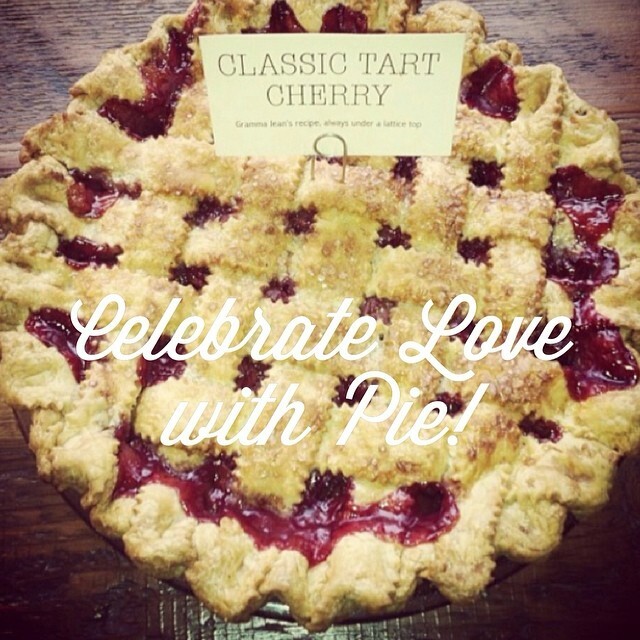 Kate McMillen of Lauretta Jean’s, based in Portland, Oregon, said she offers a very popular Tart Cherry Pie, based on her grandmother’s original recipe. 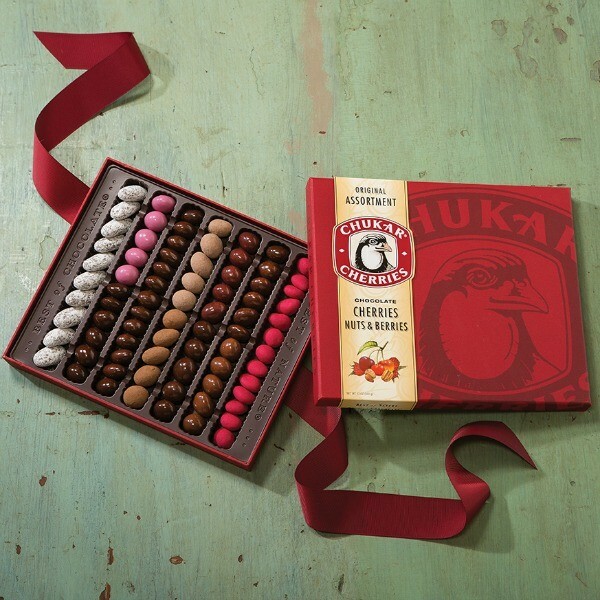 In keeping with the recipe, a specific canned Cherry is used. 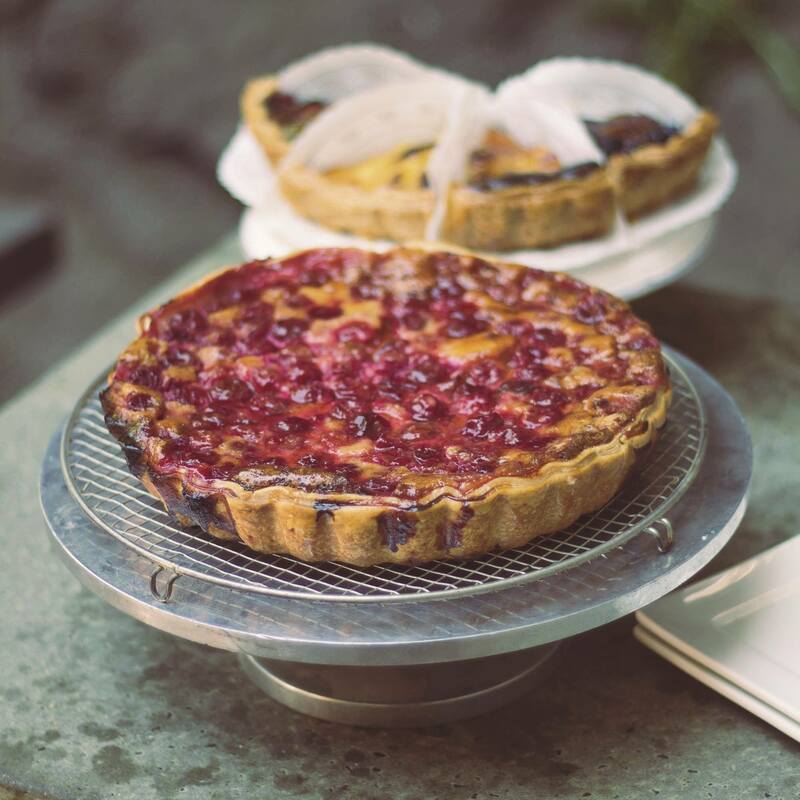 Kate said “That pie will be available in the fall again when we can get our hands on the right Cherry – they are processing and canning the Cherries now.” Also on the Cherry Pie line-up: a Sour Cherry and Apricot Pie, available for just a few weeks. And Cherry Pie can be gussied up and paired with other fruit. 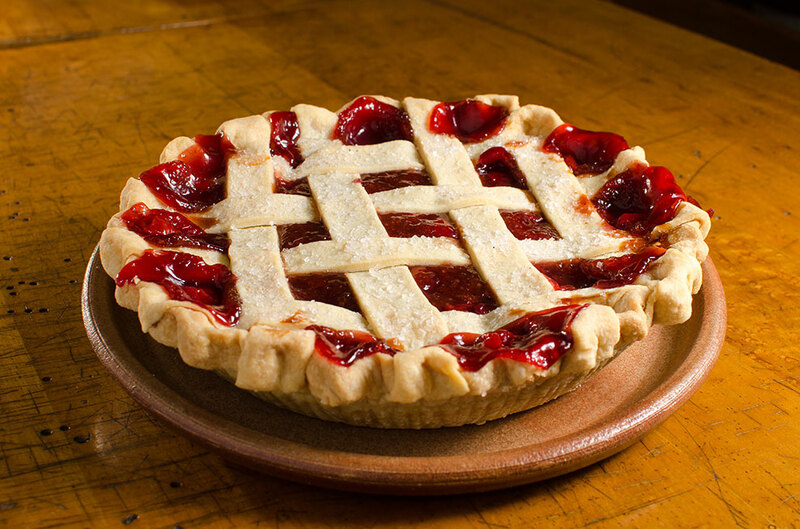 Beth Kaboth, Co-owner /Manager of Simply Delicious Pies in Shaker Heights, Ohio, said that while the plain Cherry is the most popular of the Cherry Pies, other varieties include Cherry + Apple + Blueberry and Cherry + Peach. 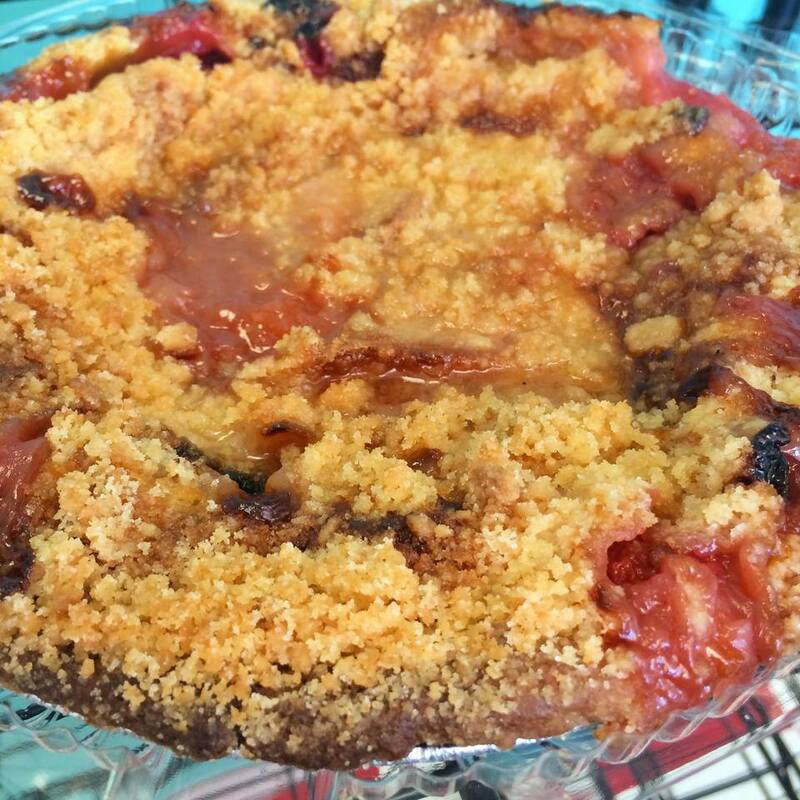 Toronto bakery, Wanda’s Pie in the Sky offers a variety of Cherry delicacies: Ontario Sour Cherry Pie; Apple Cherry Crumble; Cherry Apricot Pie; and Very Berry Pie. 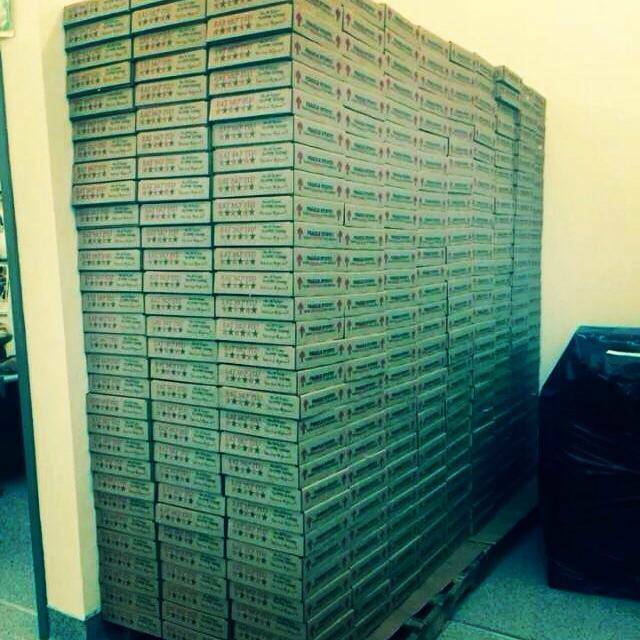 Wanda’s Leora Winkler notes that these pies are available in different sizes. 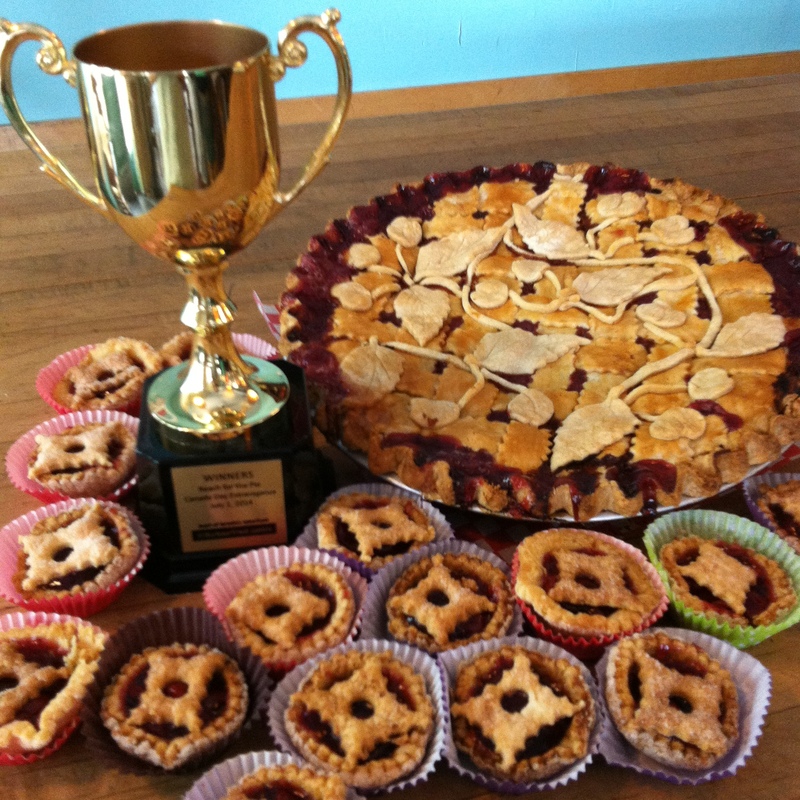 Cherry Pie purists should rejoice – the Ontario Sour Cherry Pie recently won an award at a pie competition. 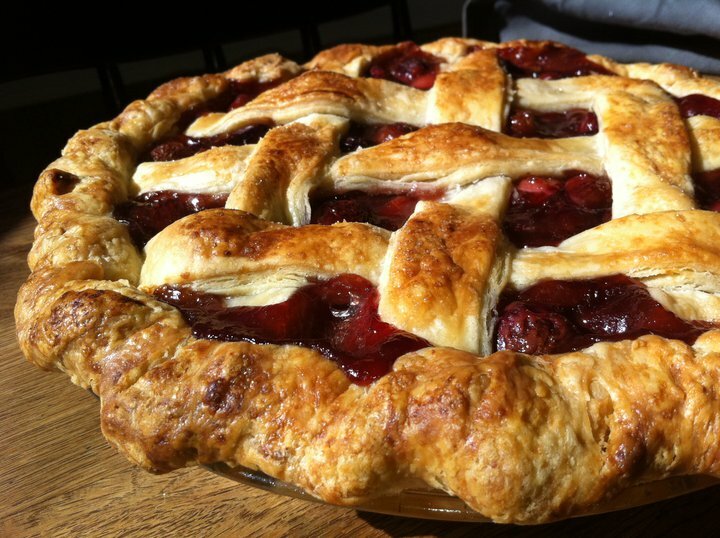 I’ll be dreaming of Cherry Pies!